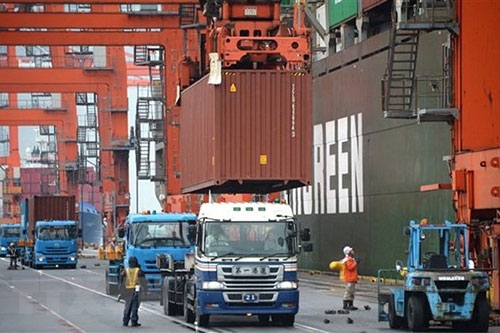 Japanese big manufacturers' business confidence worsened to a two-year low in the March quarter, a central bank survey showed, underscoring concerns that Sino-US trade tensions and softening global demand were taking a toll on the export-reliant economy. Big non-manufacturers' business sentiment also soured to a two-year low, keeping pressure on the Bank of Japan to maintain or even ramp up its massive stimulus program. The headline index for big manufacturers' sentiment stood at plus 12 in March, worse than plus 19 marked three months ago and a median market forecast of plus 14, the BOJ's closely-watched quarterly "tankan" survey showed on Monday. The index hit the lowest level since March 2017 and fell at the fastest pace since December 2012, as manufacturers felt the pinch from slumping demand for electronics parts, automobiles and machinery goods, the survey showed. The index for non-manufacturers fell to plus 21 from plus 24 in the December survey, hitting the lowest level since March 2017 and undershooting a market forecast of plus 22. Both big manufacturers and non-manufacturers expect business conditions to worsen further in the three months ahead, the survey showed, adding to recent growing woes for the world's third-largest economy. The survey is among various data the BOJ will examine at its two-day rate review later this month, when it issues fresh quarterly economic growth and inflation projections. The tankan's sentiment indexes are derived by subtracting the number of respondents who say conditions are poor from those who say they are good. A positive reading means optimists outnumber pessimists.